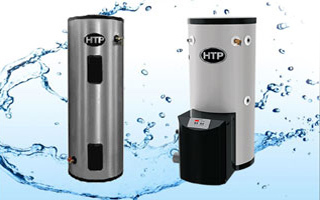 The highly efficient Versa-Hydro® is a space heating and domestic hot water appliance. It was the first device in the U.S. that was able to provide both domestic hot water and space heating in one compact, efficient appliance! The all-in-one design of the Versa-Hydro results in considerable cost and space savings. The modulating DHW burner operates at up to a five to one turndown ratio, while the space heating module operates at a ten to one turndown ratio. Boiler turndown is the ratio between maximum and minimum firing rates. This greater turndown allows the Versa-Hydro to modulate at lower firing rates which reduces short cycling, conserves energy, and improves component reliability. Along with preventing excessive cycling, higher turndown ratios also prevent wear and tear that accompany unwarranted cycling. The Versa-Hydro is available in three gallon sizes ranging from 55 gallons to 119 gallons. It has two BTU inputs: 130k and 199k. It is available in natural gas and liquid propane. This versatile appliance can provide hot water for the domestic system, radiant heating, hydro air and even solar assist all in once appliance! 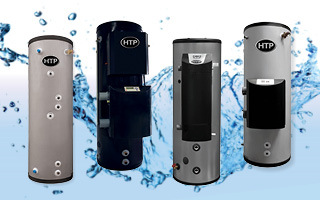 The Versa-Hydro unit provides homeowners with one appliance that saves money on operating expenses, reduces overall installation costs and takes up less space than traditional space heating and water heating appliances. The Versa-Hydro 55 gallon and buffer tank can fit into a space as small as 34” x 53”. It also reduces greenhouse gas emissions by utilizing a mesh burner that reduces nitrogen oxide and carbon monoxide production and meets all nationally recognized low NOx emission standards. 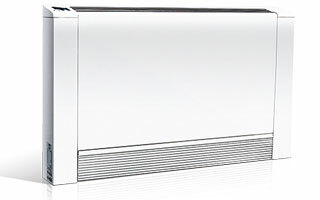 The Versa-Hydro is a condensing unit. The major advantage of condensing technology is to extract more heat from the exhaust gas compared to conventional systems. The heat exchanger incorporates a larger surface area constructed of high-quality 90/10 cupronickel, which allows the unit to extract all of the latent energy from the water vapor contained within the exhaust gas. 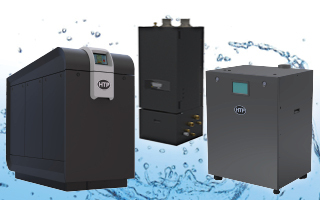 This reclamation of energy allows the appliance to use less fuel to meet desired heating loads.The Versa-Hydro Total System Control (TSC) manages pump speeds and temperature settings depending on the required BTU output. 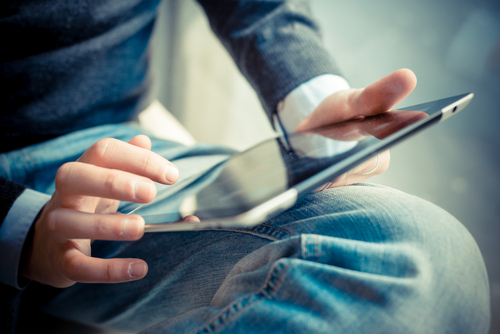 Contractors can easily set the domestic tank temperature and the maximum heating temperature. The TSC will then automatically manage the appliance to provide the most efficient output depending on the load and outside temperature. This system gives contractors confidence that they are providing their customers with a product that is continuously maximizing efficiency. The Versa-Hydro is manufactured with the highest quality material, including an extremely durable cupronickel and stainless steel heat exchanger that allows for excellent heat transfer and resists corrosion. This unit is made with 2 inch thick environmentally safe foam blown insulation, allowing for only ½ degree F heat loss per hour. This allows the space heating module to utilize water from the DHW system efficiently without repetitive cycling of the burner. 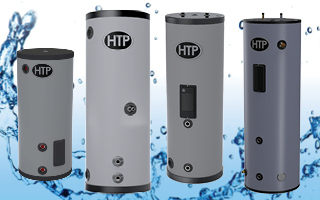 The Versa-Hydro has built in auxiliary taps that provide connections to air handlers or supplemental storage tanks. The unit also has five easy piping connections – supply and return for heating and inlet and outlet for DHW and system feed. 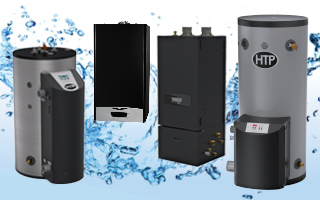 There is no primary/secondary loop to install, no near boiler piping, and no boiler/indirect electrical connections – making the installation hassle free! The Versa-Hydro vents in PVC or CPVC pipe, with combined vent lengths up to 200’ in 3” pipe for the 199 model and combines vent lengths up to 85’ in 2” for the 130 model. The robust material and sophisticated design of the appliance’s heat exchanger minimizes builup of lime and scale associated with hard water areas. The 5” diameter combustion tube and 1 1/8” secondary heat exchanger spirals greatly enhance heat transfer and eliminate the blockage risk of small passageways that exist in low-mass boilers. These features promote self-cleaning of the unit, making the Versa-Hydro virtually maintenance free. The Versa-Hydro is backed by a limited 12 year warranty, right out of the box! No registration is required.